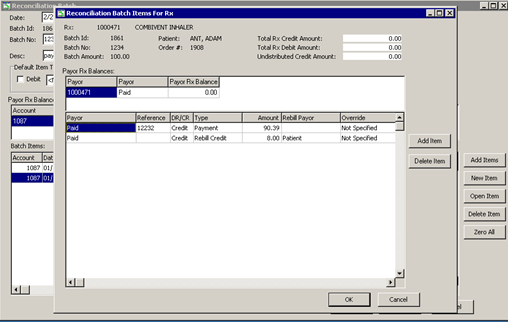 Example: a payment is made and you need to edit to rebill a portion. Click on line item in the reconciliation batch queue. 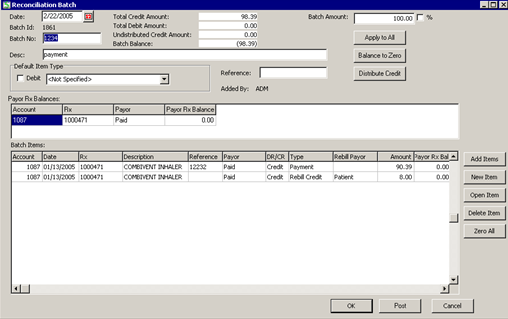 Click “Open item” tab over and change the amount on the payment and tab to the end of the line ‘add another line’ yes and then select the same payer for “rebill credit” w/ right click and right click to select rebill payer. 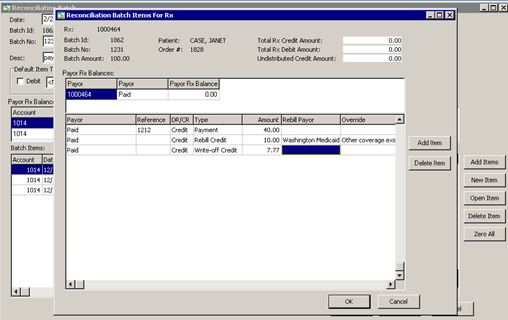 A payment was made to Paid but it needs to be edited for rebill to Washington Medicaid and write off the balance. 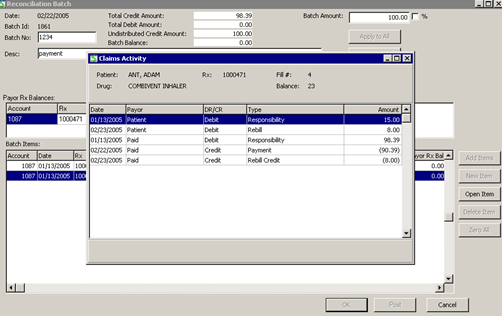 See the payer Rx balance recalculate as the amounts are entered in each line.